Scrum Reviews have been for a long time left out of our focus. 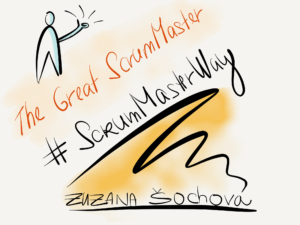 Teams and ScrumMasters are asking how to improve Sprint planning, Standups, Retrospectives, but most of the time there are no real questions related to the Sprint Review. So how to make the Sprint Review great? Firstly let’s review the goal of this meeting which is to get feedback on our product. So no status of done vs. not done Product Backlog Items has any space here. No slides with any Burn-down or Burn-up charts, no velocity comparism. The Sprint Review shall show real working product to our customers so they can give us a feedback. Yes, to the customers, not Product Owner (note that customers are all stakeholders, users, people who pay for the product, simply anyone both internal and external who has any expectations from that product). Showing the product to Product Owner makes no sense as he is part of the Scrum team and collaborated on the solution during the Sprint. We don’t present technical solution, but business value delivered and we let team members take the opportunity to show that they did and get the applause :). However, if in some rare cases you happen not to get that enthusiastic feedback, and your customers get angry for any reason, the Product Owner makes himself visible and protects the team. After all it’s his responsibility to understand the customer well enough so those misunderstandings won’t happen. User Story is one of the most common formats how to write Product Backlog Item. It has specific format which forces people to focus on business value. So that I can impress my friends by variety of rare brands. It shall give us three different information – Who, What, and Why – which must fit together and once you read it to someone it shall create consistent story together. As you may have noticed the User Story looks at the functionality from the business perspective and is customer centric (note that customers are all user, stakeholders, other teams, … ). We never define how exactly it shall be solved, but describe the business impact we want to achieve. As a result of it development team is not involved in the story definition anymore. They just take those points one by one and implement it. If it’s not working as we missed something, it’s not their fault but the Product Owners’. He shall have made the missing piece part of the Acceptance criteria. So let’s have a look to better solution. As a result of this the team is focusing on solving user problem instead of implementing what was defined before. The implementation usually starts with conversation. How can we deliver the more value with less effort? What is the minimal functionality we have to deliver? How can we address his needs? We need everyone involved, everyone interested, and everyone understand the overall business, personas, their needs and their dreams. It may take bit longer at the beginning, but it’s worth investing the effort as the committed team which is living by the product can always come up with better solution then one Product Owner. Writing Acceptance criteria is our legacy from traditional world, while defining Conditions of satisfaction is very Agile. Agile and Scrum is mindset. If you have it, it doesn’t matter how you write your User Stories because you already understand the fundamental difference. It’s about value to be delivered to the customer, instead effort, items delivery, and velocity. If you don’t, changing only the label won’t help. You would have to significantly change the way you think about Backlog items and that might be very painful and long process where User Story format with Conditions of satisfaction will help. I went through that change with several companies during Agile Coaching and it was always worth of the effort. 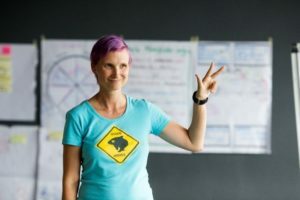 If you want to get bit more practice, I also teach it at CSPO – Certified Scrum Product Owner class.